The brainchild of Masoom Khivansara, this online decor studio is pure decor goals. Unique and colourful, the brand has given regular items a creative (read Kreative) twist. Don't believe us? Look for yourselves. 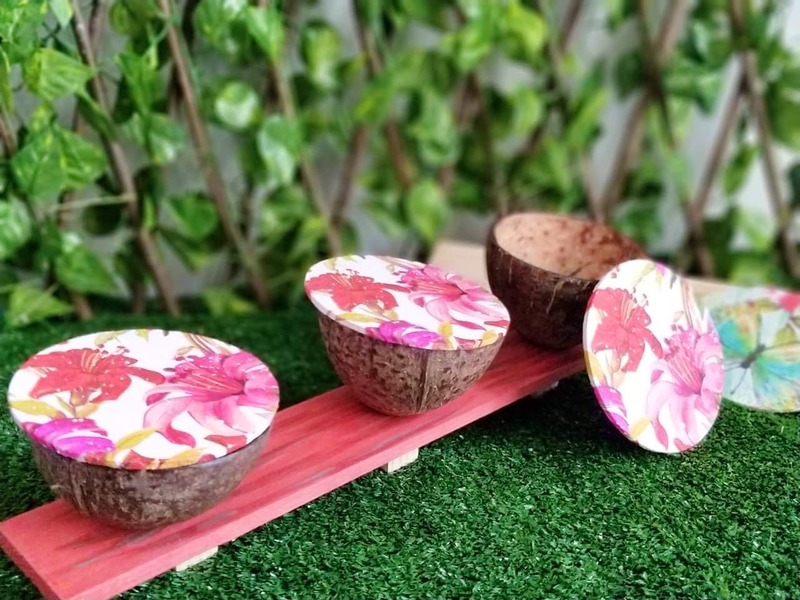 To serve starters to your guests, they have come up with super-cute cocopots which are made up for coconuts. They also deal in ornate candles, decorative candle stands and shot glass trays as well. We absolutely are in awe of their crockery made up of tree barks. Their trays and plate sets are something you can actually gift as wedding favours. We hear they also deal in wooden hot plates. If you are looking to deck-up your place, check-out the innovative lamps that this place has. You can also take a look at their wine and cocktail glasses that are perfect for a classy dinner setting. All this and you won't burn a hole in your pocket. Under INR 1000, you can shop for good gifts for your friends and family. They ship all over India and you can make payments online or via Paytm. You can avail the COD option as well. We also hear that they frequently hold pop-ups across the city. Keep a track of their social media handles for regular updates and latest designs. We wish they mentioned more about their products and its range on their social media handles.